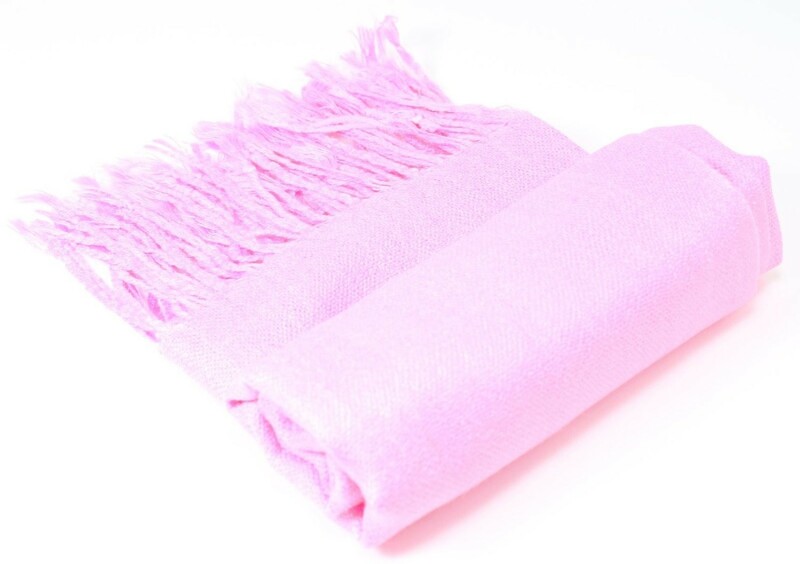 This is an ultra-soft and silky pashmina style scarf with fringe on each end. This long shawl will be warm enough for the cool winter months, but light enough and brightly colored to accessorize all year round! Available in 16 bright colors: Red, Fern Green, Yellow, Lavender, Fuchsia, Pink, Turquoise, Baby Blue, Black, Tan, Ivory, Teal, Lime Green, Gray, Brown, and Purple. Measures 24 x 70 inches (71 x 182 cm) with a 3 inch (7.5 cm) fringe on both ends. Fabric made from 100% Acrylic. Hand wash, hang dry. If this is not the style of ladies pashmina style scarf you were seeking today, then please continue browsing our other listings for alternate styles and colors available.